Improved technology is a great asset for all businesses. It’s completely changed the way that almost every company operates by improving efficiency and allowing people to offer a better service to their customers. One area that has been massively altered by recent advancements in technology is the legal profession. 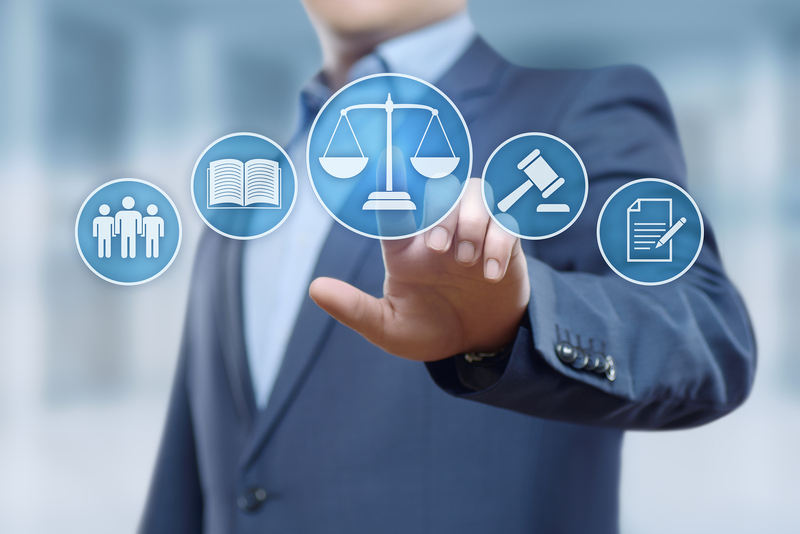 While it still needs experienced, well trained lawyers to handle the cases, technology can be a huge help in preparing cases and dealing with the general admin involved. These are just some of the innovations that have changed the face of the legal profession in a big way. Communication between law firms and their clients is so important. When you’re fighting a case for somebody, it’s essential that they know exactly what is going on because the outcome of that case can have a huge impact on their life. That’s why any technology that improves communication between the two parties is always a big positive. In the past, phone calls and meetings would be the only line of communication between clients and law firms and that requires a certain level of organization between the two parties because they both have to be available at the same time. But now that we have access to email and instant messaging services, it’s easier than ever for law firms to send important information to their clients. This isn’t just helpful when trying to keep clients in the loop, it also helps lawyers that are working on the case because they can get answers to important questions a lot quicker than they would have been able to in the past. It also makes it a lot easier for clients to send any important documents that relate to the case to their law firm. Those developments in communication technology also mean that lawyers have access to a lot more evidence than ever before. They can use text messages, instant messages and emails as evidence in a case which often prove to be very important. However, there is a downside because it means they’ve got a whole lot more information to trawl through. But technology has a solution for that as well because a lot of it can be automated. Because so much of the evidence is digital, it’s easy for computer software to trawl through it and do searches based on dates or keywords to find the relevant documents. That means lawyers and paralegals have a lot more free time to work on the case. Organizing all of that evidence into a case is a big job. Then you’ve got to schedule meetings with clients, generating the necessary paperwork, and dealing with billing. But new technology is streamlining that process and making it a lot less time intensive for lawyers. There is some great legal case management software out there that can handle a lot of the day to day tasks for you and automate a lot of others. That means there is less chance of any errors and it’s a lot quicker and easier to pull together all of the necessary paperwork for a case. Finding clients is a big challenge for law firms, especially ones that are just starting out. But technology has given law firms new avenues for finding business, most notably, the website. It gives law firms a place to showcase their previous legal victories and offer a list of services to their clients. It’s also a great line of communication because live chat services give potential clients a way to ask any questions that they might have about the process. The law is always evolving and there are a lot of cases that have significant gray areas. In the past, lawyers would have to seek advice from senior colleagues and that list of contacts wouldn’t necessarily be that large. But now they can go online and tap into large legal communities for help and advice on difficult cases. These new communities fuel debate around the law and help law firms around the world fight cases more effectively. They’re a great resource for law students as well because they can connect with experienced lawyers a lot easier. These communities also benefit clients as well. There are a lot of people that need legal help but may not be able to afford it for whatever reason. Online communities offer them a way of finding lawyers that are willing to offer them help pro bono. These are just some of the exciting developments that are changing the legal profession right now, but there is no telling what the future holds.